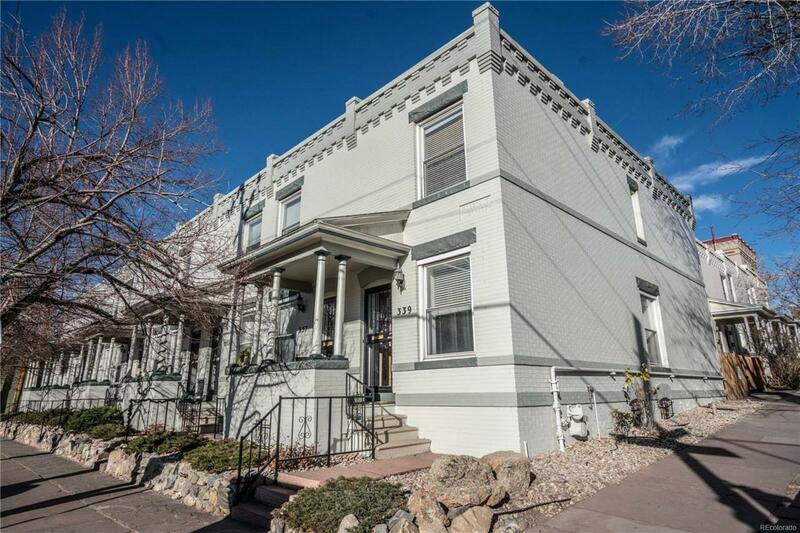 A fantastic opportunity to own a well-cared for, historic Governor's Park 2-bedroom row home with one of the most affordable HOAs in town. With a unique townhome-like feel and just one shared wall, this end-unit condo lives incredibly comfortably. Some of Denver's best parks, bars and restaurants are within walking distance - you'll love the lifestyle here. Trader Joe's is across the street, Pablo's coffee is right around the corner, and more exciting restaurants coming all the time. As an end-unit, this condo enjoys plenty of light. Wood floors throughout, large windows and thoughtful touches create a comfortable, highly functional space. The basement flex space provides plenty of storage, with an additional 3/4 bathroom and laundry. The affordable HOA has maintained the building with great care; the exterior was painted 2016, with a new roof installed 2015. With its own reserved off-street parking space in the gated parking area, it's easy to picture living in this urban retreat.